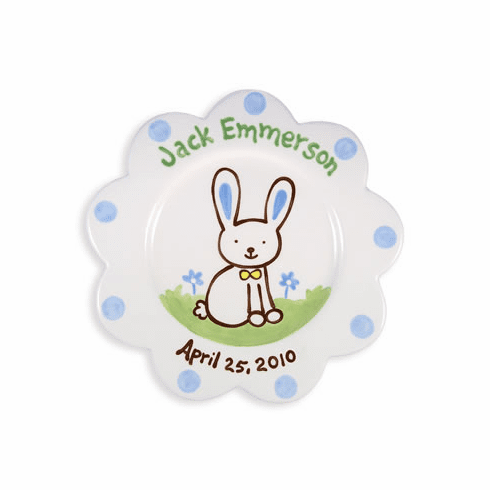 This cute bunny plate could be used for a birthday or Easter. The cute blue polka dots and scallped edge make this an extra-special keepsake. Hand painted by Kathleen Virtue, these plates are dinnerware and dishwasher safe.